Every May, celebrate Jewish Americans who have helped weave the fabric of American history, culture, and society. In 2006, President George W. Bush proclaimed May as Jewish American Heritage Month. The announcement served as the crowning achievement in a concerted effort by American Jewish leaders to introduce resolutions in both the US Senate and the House urging the President to proclaim a month specifically recognizing the more than 360-year history of Jews in America and their contributions to the United States. A national month of recognition of the more than 360-year history of Jewish contributions to American culture, JAHM acknowledges the achievements of American Jews in fields ranging from sports and arts and entertainment to medicine, business, science, government, military service, music, and more. The 2019 theme is American Jewish Illustrators! 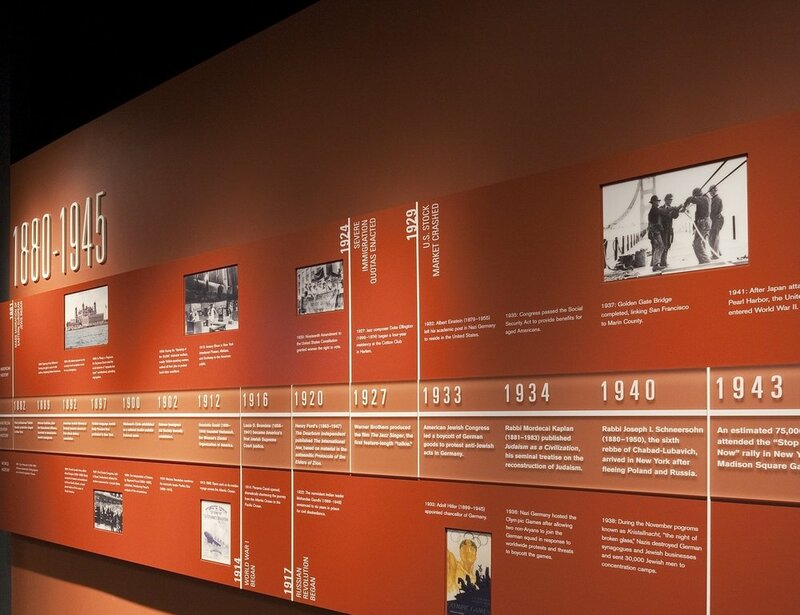 The National Museum of American Jewish History is located in Philadelphia, PA on historic Independence Mall. Find a JAHM event near you! For top collage image credits, click here.